Plug it in and it brings an image up on your computer screen of whatever the slick looking microscope is pointing at – you won’t even have to strain your neck peering into a dusty eyepiece, it’s all there on your monitor in full colour and with up to 200x magnification. 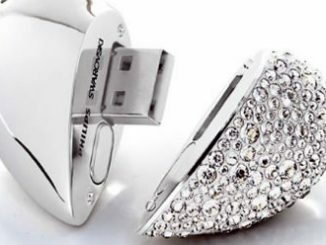 As if this wasn’t enough, the manufacturers have also included a program that gives you up to 2GB of online space, so that you can share your scary close-up photos and access them on any computer. It’s a window into a whole new world. 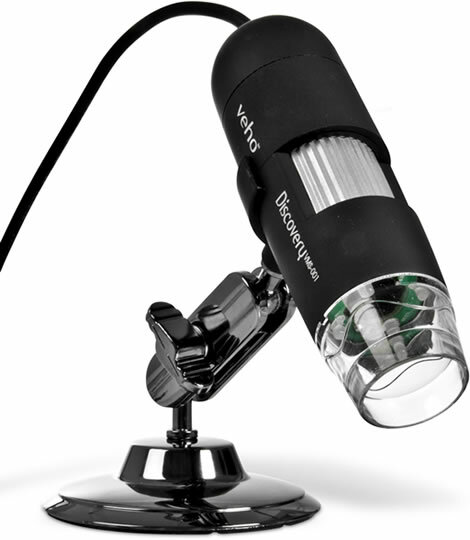 A desktop Microscope that plugs into your computer. 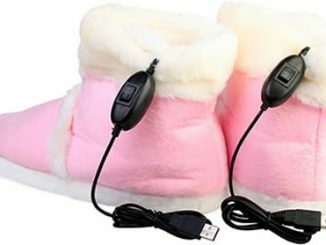 The design makes it very easy to use and adjust. Resolution of up to 1600 x 1200. Records movies in AVI and still images in JPG or BMP. 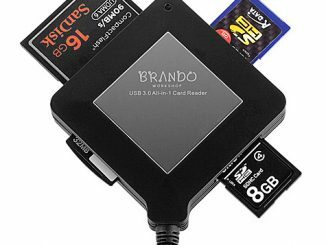 Requires Windows 98SE/ME/2000/XP/Vista and at least 32MB free system memory plus 11.5MB Hard Drive Space. Contains CD-Rom with Driver software and full instruction manual. The included software allows you to store and share up to 2GB of files online, for free. Size: 14 x 12 x 7cm. 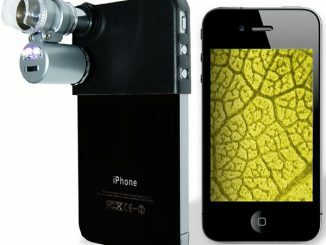 The USB Microscope is available from the IWOOT website for £49.95 (about $80 USD). Also available from Firebox in the US. 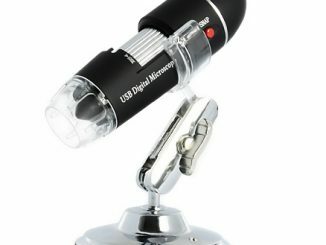 Thanks Bob, but I don’t think that’s the same USB microscope. It has a lower resolution and it doesn’t say anything about the 2GB online storage. Maybe this could be a great gift for anybody that makes presentations. If it can Zoom out far enough to show a full size sheet of paper (8.5″ x 11″) AND the person has a computer AND the person uses a projector and the computer in his or her presentations. For teachers who have LCD projectors and a computer connected to the projector, but who can’t get ahold of a document camera or document reader for showing student work to the whole class in “real time”, this COULD be an option…IF, like I said, it can zoom OUT far enough. 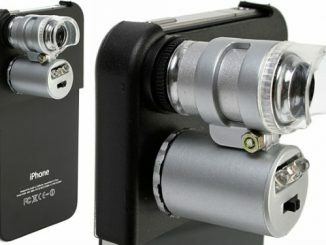 The ELMO is more expensive than this gadget here, but the version I have does not take video, only still pics. Yes SC, that sounds exactly like one of those moments where a USB microscope like this would come in handy. I think something’s up with your theme! How do you mean, Iliana? We went to your website to know about web camera to clean water bacteria can you send us catlouge and price of this product .It is very urgent to us. No Mac OS X support, thus it is worthless junk. 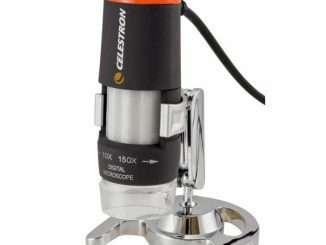 This USB microscope enables you to view microscope or telescope color images on your Windows compatible PC in a 1280 x 1008 pixel resolution. 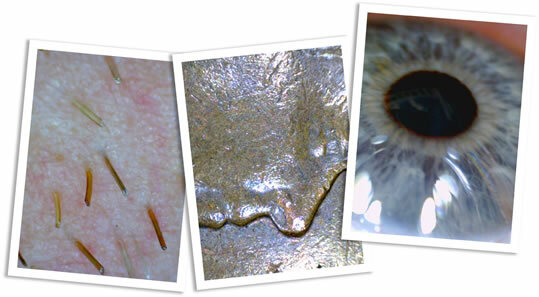 Do you like taking a closer look at things, but have no need for the extra features that comes with the USB Microscope, Webcam & Hub combo?